The sweet sounds of jazz will fill the spring air throughout the month of April. The Jazz Arts Group of Columbus (JAG) will help celebrate the 10th anniversary of Jazz Appreciation Month locally with a host of activities all month long. Each April, Jazz Appreciation Month (JAM) shines the spotlight on the extraordinary history of jazz and its importance in American culture. 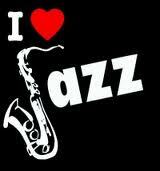 Through concerts, lectures, films, and other programs, JAM encourages people of all ages to attend concerts, listen to jazz on radio and recordings, read books about jazz, study the music, and support institutional jazz programs. The Jazz Academy will also present a series of “Cool School” workshops in conjunction with the “Birth of the Cool” concert event, including a month-long Guide-by-Cell tour inspired by the cool jazz movement and featuring the work of artists Man Ray, Romare Bearden, Stephen Longstreet and more. The Columbus Jazz Orchestra will salute the important musical figures that got their start at the Apollo including female jazz greats like Dinah Washington, Ella Fitzgerald, Sarah Vaughan, Gladys Knight, and others in “A Night at the Apollo.” And closing out the month will be the multi-media tribute “Birth of the Cool” – Jazz Arts Group’s recreation of the iconic 1949-50 Miles Davis recording sessions and a retrospective of mid-century art, design, and music in partnership with Denny Griffith and the Columbus College of Art & Design. Museum of Art from April 1 – 30, during museum hours. Art on April 16, 4:00 PM. Theatre ballroom on Saturday, April 9, 11:00 AM. Hicks at the Southern Theatre from April 13 – 17. Mark Flugge at the Jazz Academy on April 16, 2:00 PM. Jazz Academy workshops, please visit www.jazzartsgroup.org.